The Sacred Message of Vedanta is relevant for everyone regardless of race, creed, age or gender. Find your Self and your life, here! Through the teachings of Vedanta and Vedic Heritage we help you see that the happiness you seek is, in fact, the truth of who and what you are. Recognizing this, all that you say and all that you do becomes a blessing in your life. Gift your Self to yourself! Purna Vidya teachers have trained over 3000+ students over the last 30 years in a very systematic way and many of our students are spread across the world, spreading the Knowledge of Vedanta and Vedic Heritage. 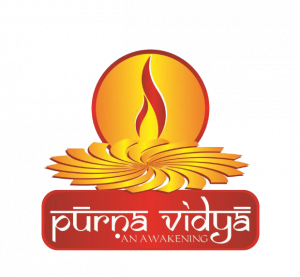 Purna Vidya's work is spread across over eight countries and is growing every year and finding more and more acceptance across the countries of Singapore, UK, Spain, France, Germany, Middle-East, Chile and USA. Purna Vidya teachers have taught over 250+ batches of courses in multiple formats around the world and these batches continue even today in both classroom format and study group format keeping the tradition alive. Thank you for subscribing to our newsletter and your data is safe with us. We will be sending you communication regarding our various online and offline programmes to this email-id. We follow GDPR guidelines and our data privacy rules are guided by GDPR principles. We are eagerly looking forward to this spiritual journey with you. For any issues you can always write to purnavidya@gmail.com. Overall, every student experienced days of intense learning and growth. Many expressed how they saw the Vedanta teachings come alive through this programme at Purna Vidya Ashram. It was undeniable that many of us had been touched to the core and that cogs and wheels necessary for Self Awakening had been set furiously in motion, if not already! I came here to learn about Gita and Self-Knowledge. What matters most to me is the new perspective I have received from Gita. The angle with which I perceive situations which I normally struggle with has changed drastically. Today the Gita lessons help me in my daily life by giving me more inner peace, and I am not shaken as often by little disturbances. When I came to India, my plan was to visit several ashrams. But when I arrived here in Purna Vidya, I did not feel like leaving the ashram. I was so enchanted with the place. With the teachings, I feel that I have learned to trust a lot more in life in general. A lot of my fears have dropped. I feel that anything that happens, I have much more inner space to absorb the same.